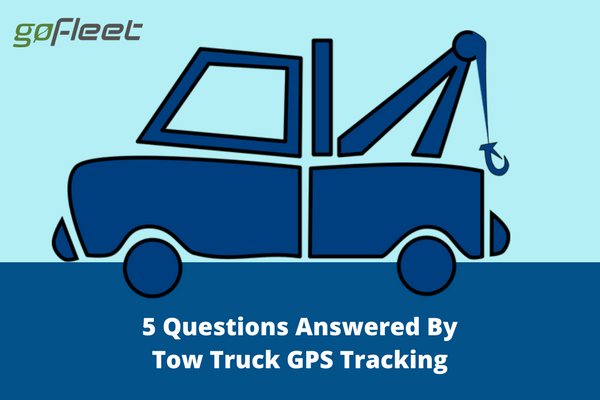 Tow truck GPS trackers are used to answer many questions. When is service going to arrive? Who should take the job? How should they get there? The questions go on. Towing companies often face these type of questions. For these companies, their industry is ultra competitive. Business is won by providing the best and fastest service. Just how competitive is tow trucking? According to Hoover, the industry has opportunities for small and big companies. In fact, the top 50 companies only account for 15% of the total industry revenue. 1) Who is the closest driver for the job? Imagine a customer whose car broke down. After getting a towing company, the first thing on their mind is, “When is service arriving?”. Towing companies need to win business by providing the quickest response. 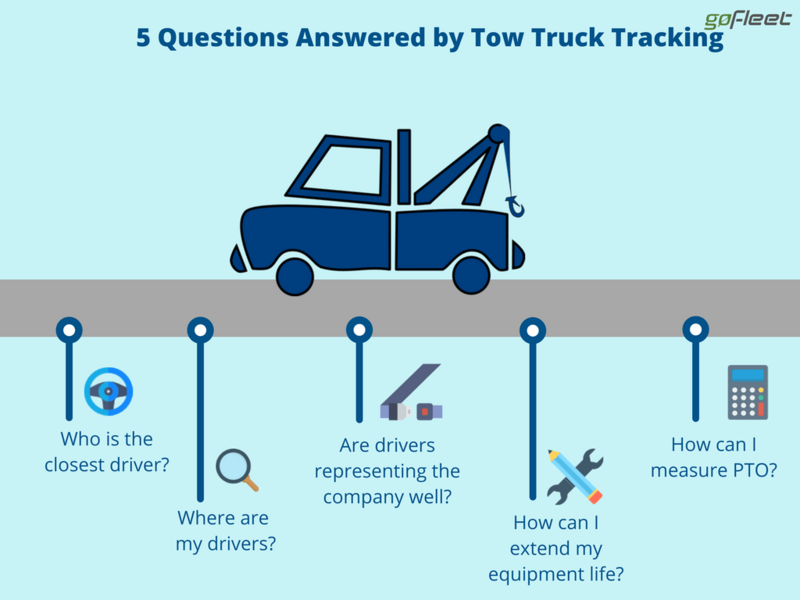 Tow truck GPS trackers can help answer this question. These devices locate the closest driver and assigns them to the customer site. Additionally, these devices tell drivers what is the quickest way to get to the job. As a result, trackers help tow truckers reach their customers in the shortest time possible. Queue the positive Google reviews! 2) Where are my drivers? Let’s revisit the customer with the broken car. Of course, like a lot of customers, they hate waiting. Like a kid on a road trip, they might call and ask, “When is service coming?”. This leaves tow truck companies to ask, “Where are my drivers? They better be on the job!”. Luckily, vehicle trackers can be used to instantly locate drivers. Supervisors can ensure that their drivers are on the job. Supervisors can also provide better customer service by updating customers on arrival time. 3) Are drivers properly representing the company? One part of the towing is getting to an impatient customer quickly. Another part of the job is properly following traffic rules. Tow truck drivers are still responsible for driving at speed limits and avoiding bad driving habits. Tow truck GPS trackers can also be used to measure drivers. It lets managers create driving rules and identify which drivers are breaking rules. It also provides live feedback by having an audible alert to remind drivers to correct bad habits. 4) How can I extend the life of my equipment? Tow trucks and their equipment are valuable assets and needs to be maintained. Imagine the awkwardness if a tow truck breaks down while servicing a customer. In order to prevent a costly breakdown, many tow trucks go through a regular maintenance program. Many towing companies improved their maintenance program with a preventative maintenance program. For example, one company created service reminders from odometer readings. This prevents breakdowns by wirelessly sending vehicle fault codes back to the maintenance department. 5) How can I measure PTO? In some provinces and states, tow trucks can get refunds for PTO. For eligible businesses, one issue is how to get documentation to measure PTO usage. A common add-in to vehicle tracking is being able to create PTO reports. These reports records time and fuel spent on PTO. It also provides proofs for tax refunds. Click here for more info on tow truck GPS tracking.